The alternator sends power to the vehicle’s electrical system while it’s running. Many drivers believe that the battery is what powers the car, but it’s only used to start it. The alternator will function as a generator, which uses the gas engine as its source of energy. For more alternator information, visit the service center at Riverside Buick GMC near Rome. Worried your alternator may be on its way out? If you are noticing any of the issues below, make the trip to the Riverside Buick GMC service center in Cartersville. Many drivers will mistake a failing alternator with a failing battery. The best way to recognize the difference is to wait until the vehicle doesn’t start and needs a jump. Jump-start the engine and remove the jumper cables after it starts. If it dies immediately, then the problem is most likely the alternator. If you need a certified technician to inspect your vehicle, schedule a service appointment conveniently online. Since each car, truck, and SUV require different alternators, it’s difficult to say just how much it will cost you. However, you can contact our Canton-area service center for a free quote. We carry alternators designed for your particular vehicle. In addition to that, our factory-trained technicians have the training and experience to install the alternator correctly. 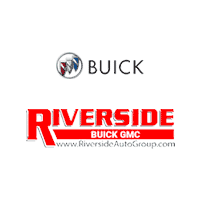 If you need to replace your alternator on your own, visit our parts department at Riverside Buick GMC. We can help find the correct alternator at a reasonable price. Our team is also here to assist with tasks like resetting your GMC IntelliLink. Contact us online or stop by our service center during our service hours!